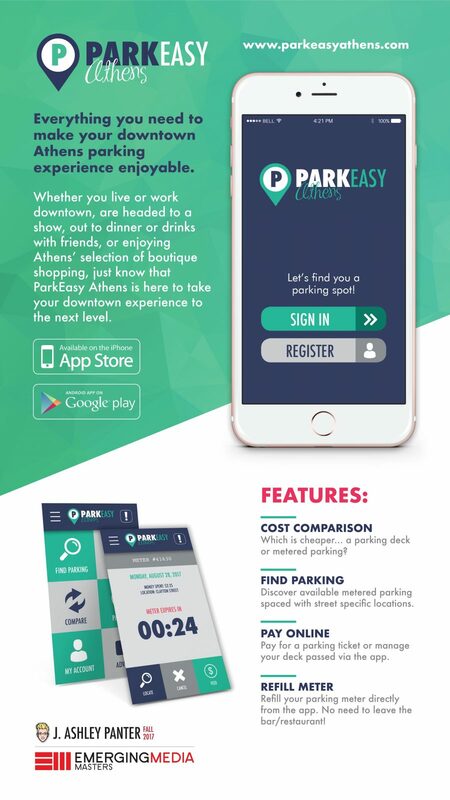 ParkEasy Athens is designed with a very clear objective in mind: to help users easily manage parking in downtown Athens and to make the downtown parking experience better to encourage more people to visit the area and shop small. There are lots of parking apps out there, but only one that is the “one stop shop” for parking management. The other guys made parking work, but ParkEasy Athens made parking work better.